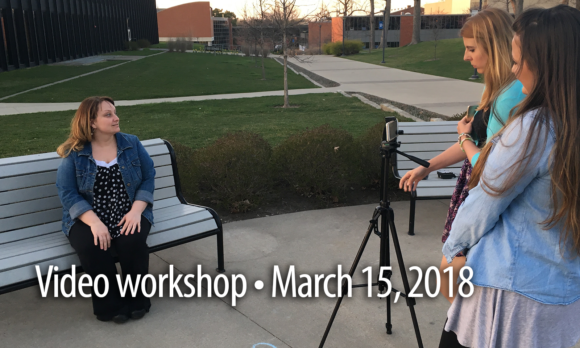 This workshop will go over the basics of shooting video with your smartphone and then an introduction to editing in Adobe Premiere Pro. Attendees will work in teams to shoot and edit two videos during the day-long workshop. When: Thursday, March 15, 2018, 9 a.m. to 3:30 p.m. Cost: $100 if you sign up before March 1, then $150 after that. Afternoon session: 1 p.m. to 3:30 p.m.